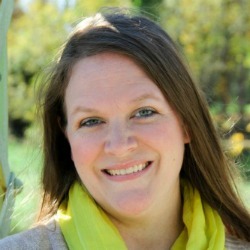 I have a confession to make…I am a homeschool mom failure. After the early delivery of baby #6 back in April and my constant health issues since, we have really struggled this year to find our groove. In fact, we weren’t consistent in our homeschool until just a few weeks ago. And I owe it all to interactive notebooking! We take a laid-back, child-led approach to homeschooling during the early years. While we focus on the different subjects, we do them at our children’s pace and follow their interests more than a book. That being said, I have fallen in love with our new notebook system! 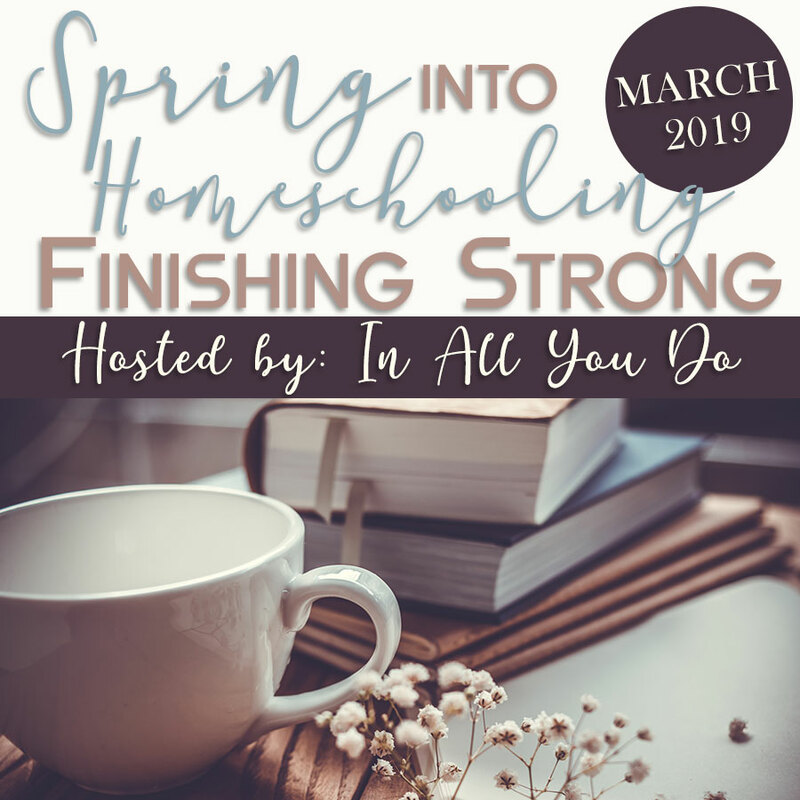 With 4 homeschool-aged children, a toddler and an infant, life can get crazy in a matter of minutes, which means I need a solid plan. That was my downfall this year. I had a general idea of what I wanted to cover and what products and curriculum I wanted, but I had nothing beyond that. This year we chose to use more printables in our homeschool, which means they are not as open and shut as a textbook and workbook would be. It takes planning and lots and lots of copying to prepare for the next week. Now that I figured out I had to prepare for the next week as soon as we finished our Friday work, rather than waiting until Sunday night when I was just done, things have started to run much smoother. 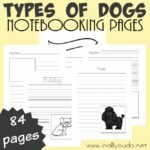 Interactive notebooking is just like it sounds – notebooking that is more than just writing; it’s interactive. My little ones do a combination of coloring, scissor practice, gluing, reading and writing everyday in their notebooks. As most of you know, I am not the Pinterest Crafty Mom. In fact, if given the chance, I would rather have paperwork over crafty things any day. However, my kids do not learn their best with papers. 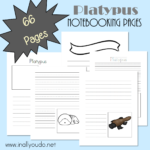 So, we found a compromise – Interactive Notebooking! There are several subjects we do really well and others we have struggled to keep up or find what works. 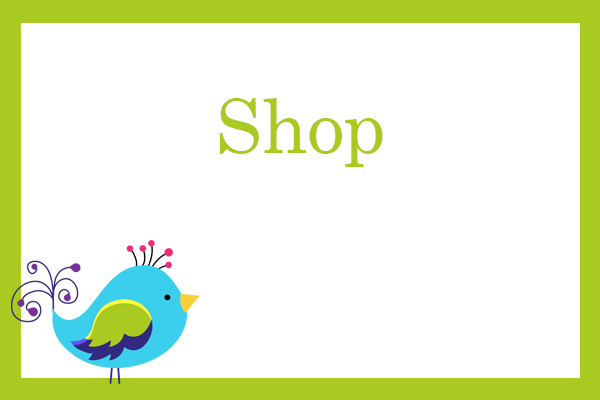 We finally found that in the form of printables from The Crafty Classroom, Kindergarten Mom, This Reading Mama and my own Sight Word printables here on In All You Do. My youngest is working on improving her sight words, and I realized the flash cards were not working for her. That’s when I found the WRITE Kindergarten Interactive Notebook from The Crafty Classroom saved in my files. While this is meant to be a word-a-week curriculum, my daughter just needed some refreshing. So we are doing a word a day and it is going so well. She is finally recognizing the words and remembering them week-to-week. We do this a little different than recommended and actually use the page she is to cut apart to put in her composition notebook. This makes it so easy to keep track of her sight words and flip through the pages for a fun review. My middle two have done really well with their sight words and their reading is improving dramatically. So it was time we moved on to grammar, but everything I found bored them to tears. But I was torn, because I love grammar. I tutored grammar in college and I love diagramming sentences…and now you know my nerdy little secret. While I want them to learn the parts of speech, correct punctuation usage and the fundamentals, I didn’t want them to revolt every time we sat down to do grammar. I was thrilled when I realized we could use another download I had from The Crafty Classroom, the WRITE Kindergarten Interactive Notebook. Even though it says grades K-2, we are using it as more of a review, since we’ve done some teaching along the way. Rather than doing the pages a couple of days a week, as suggested for K-2, we are doing each “week” in a day, which is working out very well for my 3rd/4th graders. It is the perfect combination of hands-on learning and new information to keep their interest that they are really retaining the information this time around. If you’ve never given interactive notebooking a try, I highly recommend it. 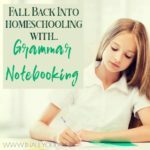 It has rejuvenated our homeschool, given my kids more confidence and helped them really remember what they’re learning. 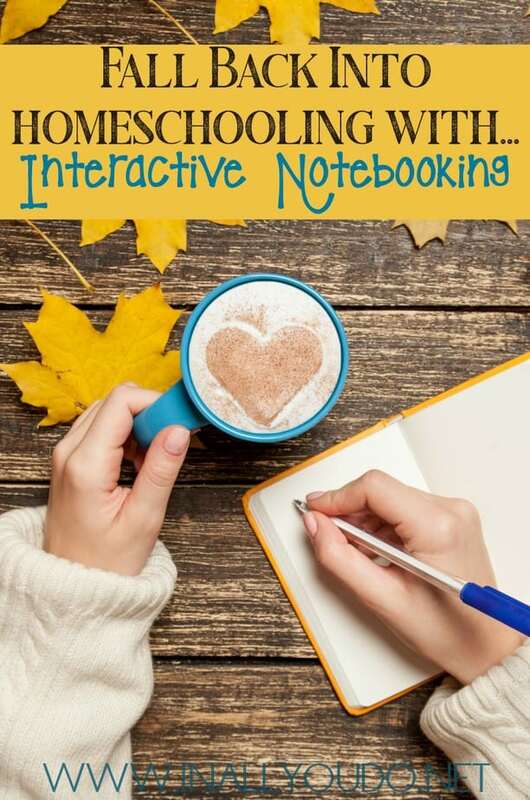 I’ll be honest, I wasn’t too sure about the “notebooking” craze that I’ve seen in the homeschool circles, but now…I’m sold! 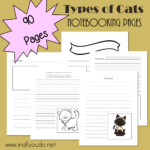 Want to get some Interactive Notebooking Products of your own? Enter for your chance to win! NOTE: This giveaway is open to U.S. Residents only. 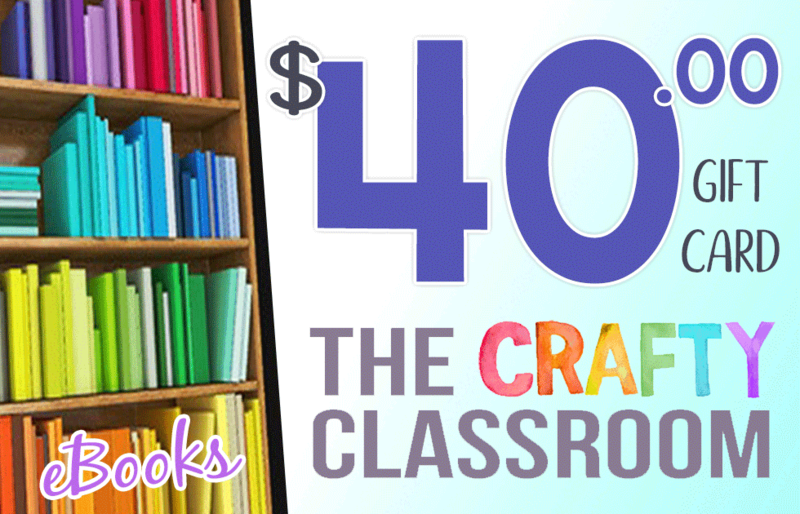 As a sponsor of this giveaway, The Crafty Classroom will receive a copy of all entrant emails to add to their subscription list. You may unsubscribe at any time. I am in the state of Florida. I would buy the interactive writing notebook, the periodic table of elements book, and the science and writing notebooks. Probably get the writing instructions (poetry, research papers, etc.). I love the resources – from Iowa. I would choose any of the interactive note booking . We live in Pennsylvania and I’m desperate for anything that will encourage my son to write or draw. I love the idea of journaling. If I had $40 I would buy the ABC & R.E.A.D. Bundle. I’m forever searching for engaging resources for literacy and this has everything I love. I would get the READ curriculum and the BIBLE ABC Curriculum. If I won, I would buy the Interactive MATH. I’ve been looking for a hands-on math for my antsy but curious young kindergartener. I think this would be a good fit! South Carolina! Thank you for the opportunity! I had a bit of trouble while visiting the Crafty Classroom site, and it’s likely that the cause is my computer, but I can tell you that I would start with purchasing the Periodic Table of the Elements Activity Pack. Bible ABC and games or the R.E.A.D. or Periodic Table of Elements Activity Pack – there are so many great products – it is hard to choose! The S.M.A.R.T. bundle looks awesome! I have looked into the READ program and your math program and both look very engaging. I live in Indiana! Love this blog and all the info I get from it! !